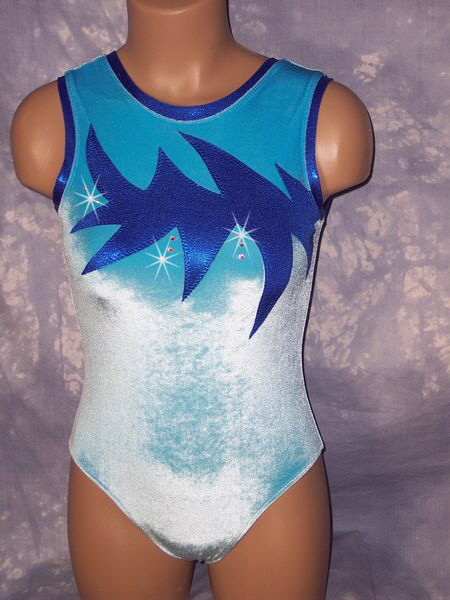 The APPLIQUE LEOTARDS are only available in mystique fabric(the velvet has been discontinued, but can be custom ordered if needed, please phone/email us for more information) The applique designs available are shown below on velvet as examples only. Mix & Match different colors & styles to make your own unique suit. Long sleeves can also be added as an option. 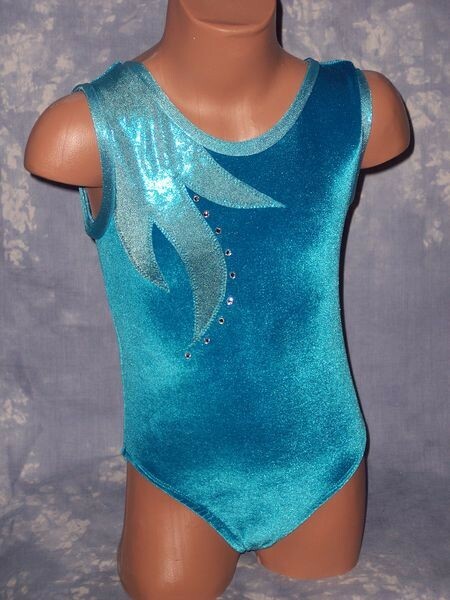 All leotards come with matching trim on the neck and arms (some not shown) and includes a matching scrunchie and 10-20 rhinestones depending on the design.